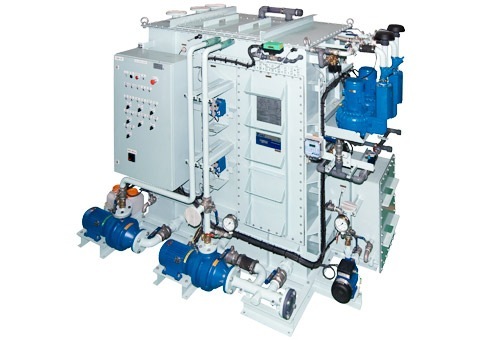 Evac's range of advanced waste water treatment plants and membrane bioreactor systems includes standard units for smaller installations as well as tailor made units for bigger installations, such as cruise liners. They meet the most stringent effluent regulations, both today and in the future. The membrane bioreactor series represents advanced black and grey wastewater treatment solutions for all vessels. 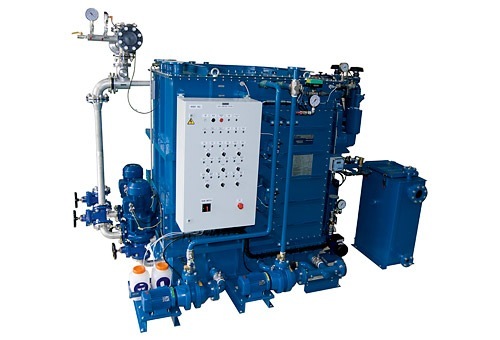 All Evac MBR units are IMO MARPOL MEPC 159(55) certified and also USCG certified. The Evac standard MBR is also available as a combined unit with vacuum generation integrated. The Evac MBR features low power consumption, owing to its low pressure submerged membranes. The quality of effluent is extremely high in all sea conditions and exceeds all current specifications. Evac MBR animation : If unplayable, please try here.